Comments: Trade paperback (US). Glued binding. 240 p. Contains: Illustrations, black & white. Helix Book. Audience: General/trade. 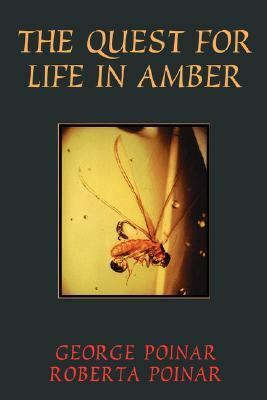 George Poinar began collecting amber specimins over thirty years ago, but it was only recently that he, Roberta Poinar, and the rest of his research team astounded the scientific community with the news that they had obtained "live" DNA strands from an insect over 40 million years old. The news was so significant that it made headlines throughout the world. Since that time, their lab has remained extraordinarily active, and in the summer of 1993, they were able to announce the successful extraction of preserved DNA strands over 125 million years old. Thus, there is now DNA available for study dating from the early dinosaur period.In passages that read more like an Indiana Jones screenplay than a story about scientific research, the Poinars describe how what began as a hobby grew into a semi-obsession which ultimately led to a breakthrough scientific discovery. Along the way, they encounter all manner of unusual characters, from threatening black marketeers and gun-toting guerrillas to extraordinarily talented scientists, and of course, the luminously beautiful specimins captured in the still-life of amber.Poinar, George O. is the author of 'Quest for Life in Amber' with ISBN 9780201489286 and ISBN 0201489287.